Initially, she questioned her lab skills. But today, thanks to her own determination and the help of her WSU mentors, Floricel Gonzalez plans to pursue a doctoral degree in virology. Her face lights up with a broad grin as she recalls the moment. Her breathing was shallow, her heart racing. She blinked, and swallowed hard, anticipating the announcement. Then, like a slow-motion dream sequence in which you accomplish the near-impossible—stepping onto the podium to have an Olympic gold medal draped around your neck, or maybe exchanging wedding vows with the woman or man of your dreams—she heard her name spoken. “Flor-i-cel Gon-zal-ez, Wash-ing-ton State Un-i-ver-si-ty,” the emcee spoke into the microphone, enunciating each syllable carefully, removing any doubt in her mind, or in the mind of anyone else filling the meeting room of the Henry B. Gonzalez Convention Center in San Antonio last November, that this was indeed her moment. Then, the flood of emotions. She remembers the hugs, the smiles, the shouted words of congratulations from her WSU family there, people who had buoyed, cajoled, cheered, challenged, consoled, and inspired her along the journey to this moment. Mary Sanchez Lanier. Bill Davis. Kay Brothers. Then, picture-taking. Lots of pictures. Pictures to preserve the moment, and pictures to provide motivation for the future. For the journey to this moment had pushed her resolve and her abilities and her capacity to work hard to previously unexplored limits. So for now, she would relish this achievement. She, Floricel Gonzalez, from Selah, Washington, was holding a certificate with her name on it, a certificate identifying her as the national winner for the best oral presentation at the 2014 Annual Biomedical Research Conference for Minority Students. 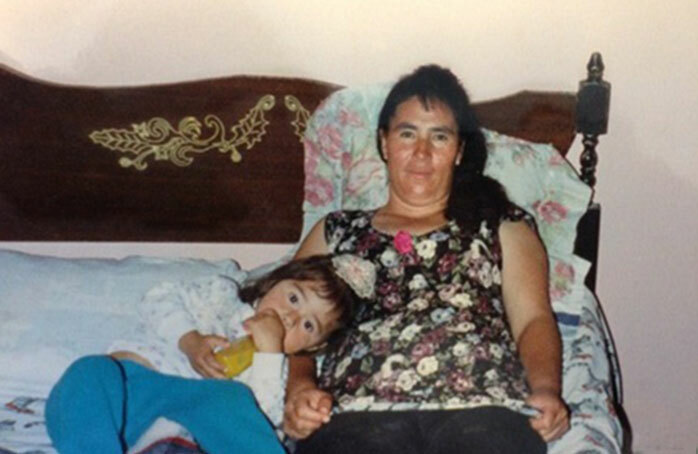 She was just 4 in 1999 when her parents decided to emigrate from their home in Zacatecas, Mexico, to the Yakima Valley. It wasn’t an easy decision to uproot a family with six children between the ages of 4 and 14. But, could it really be any more challenging, they reasoned, than the life they had lived up to that point? A life disrupted each spring when Floricel’s father would kiss his family goodbye in Mexico and then spend the next eight months in the United States, harvesting vegetables from fields and fruit from orchards, following the seasonal trail worn deep over decades by his countrymen. Elva and Jose Gonzalez were adamant that their children would not follow them into the fields of central Washington. They wanted to protect them from the bone-chilling cold of air not yet warmed by the rising sun and the sweat-inducing, searing heat of late August. No, their children would never know firsthand about the sore muscles and stiff joints that screamed for attention as a new 12-hour workday dawned. The antidote? Education. And that became the priority—the mantra—reinforced daily in the Gonzalez household. 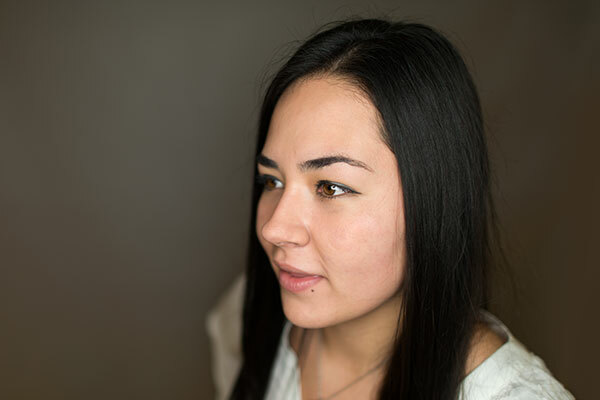 “It was something that was engraved into our minds every single day,” Floricel recalls. Her parents’ message was brief, and to the point: if you don’t want to work like this, if you want to avoid the fields, you need to get an education and find a job that you’re passionate about, which will allow you to live a more comfortable life. It was a message that took root, sprouted, and blossomed. Floricel and four of her siblings have attended college. One is a nurse. Another works in business administration. Yet a third is in the criminal justice field. And a fourth works in information technology. And now, for Gonzalez, her aspiration to earn a doctoral degree in virology and pursue a career as a disease researcher appears tantalizingly close. Credit her parents. Again. They made sure Gonzalez did her homework. If she fell short of that expectation, other activities were shelved until homework was finished. And when her parents no longer could assist with her studies, they identified other resources to provide the guiding hands she needed. And credit reading. Like a kid in a candy store, Gonzalez devoured books beginning at an early age. When her sisters would head outside to play, they teased their little sister, who preferred to stay inside their modest home, her face buried in her newest favorite book. If it was a title that particularly captivated her, Gonzalez says she’d finish the book in a couple of days, regardless of length. “That definitely was a gateway for me,” she notes. Given that orientation and the role models her sisters provided when they headed to college (her oldest sister is 10 years older), Gonzalez says she knew by the age of 10 she would pursue a university education as well. Her reasoning, in part, was fueled by a quiet determination: if her sisters could succeed, so would she. She wouldn’t let a lack of motivation or determination sidetrack her dreams. Gonzalez was unsure about the academic path she’d follow when she enrolled at WSU as a freshman. She loved literature, reading and analyzing it, and the way it broadened her vocabulary and honed her ability to express herself. But then she took a couple of science courses, thinking to herself, “This is kind of amazing.” That led to her first opportunity to try research in a laboratory setting, a moment that opened her eyes to new possibilities. But the journey to embrace science—and especially scientific research—wasn’t without pitfalls. She illustrates the point by sharing an anecdote about her first research experience, which took place in the lab of Anthony Nicola in the College of Veterinary Medicine. And how. Two summers ago, Gonzalez accepted a summer research internship at Virginia Tech University. There, she worked closely with Virginia Tech assistant professor Birgit Scharf to craft the project that would yield her national honors in November 2014: research examining the entry of viruses into bacteria. Gonzalez heaps praise on the support system the university has in place to help students like herself discover themselves. And she expresses a deep sense of gratitude for her mentors—people who have propped her up when she’s wobbled and challenged her to reach new heights. “After I earn a doctorate, I hope to transition into a research group, either a private- or government-based group, something like the National Institutes of Health, where I would have my own laboratory and be conducting research related to a specific topic,” Gonzalez says matter-of-factly. But there’s more work to do first, more learning opportunities to embrace, more pushing past perceived boundaries. Last spring, Gonzalez was selected for a 10-week summer research program offered by the Howard Hughes Medical Institute. She traveled to Yale University in June to participate in research focused on the interactions between vector-borne pathogens, such as malaria and West Nile virus, and their host. She returned to Pullman in the fall to wrap up requirements for her dual degrees. Next comes pursuit of a doctorate, with an eye toward earning a degree in virology or immunology. Gonzalez pauses, gathering her thoughts, carefully choosing the words to sum up her college journey. Her brown eyes glisten as she speaks. For in the opinion of Floricel Gonzalez, there are no limits, no insurmountable boundaries—only opportunities waiting to be embraced.